The funeral of Charles Henry Topping on Manhattan’s Upper East Side would have been a minor affair (his two-hundred-word obit in The New York Times notwithstanding) but for the presence of one particular mourner: the notoriously reclusive author A. N. Dyer, whose novel Ampersand stands as a classic of American teenage angst. But as Andrew Newbold Dyer delivers the eulogy for his oldest friend, he suffers a breakdown over the life he’s led and the people he’s hurt and the novel that will forever endure as his legacy. 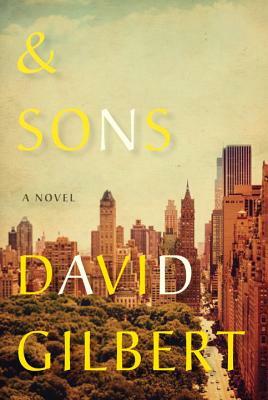 He must gather his three sons for the first time in many years—before it’s too late. David Gilbert is the author of the story collection "Remote Feed" and the novel "The Normals." His stories have appeared in "The New Yorker, Harper's, ""GQ, "and "Bomb." He lives in New York with his wife and three children.